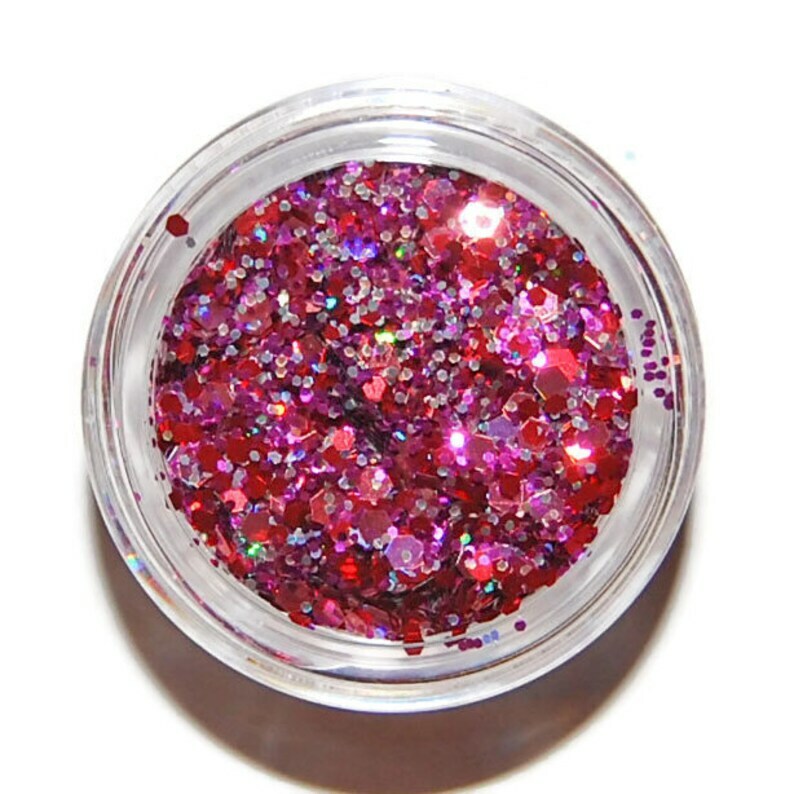 This Glitter Mix is packed full of gorgeous glitters in stunning shades of rose, silver, red and fuchsia. This is a raw glitter mix that contains small 0.015 holographic hexes and larger 0.062 hexes. ***SOLVENT RESISTANT*** Will not fade or bleed in nail polish. Mix up your own unique nail polish or use on top of polished nails and finish up with a clear topcoat. Use for resin jewelry, candles, card-making, shoes or any glittery embellishment you can dream up! You will receive 5cc's (1 teaspoon) of glitter in a clear acrylic round 5 gram jar with a screw top lid. A LITTLE GLITTER GOES A LONG WAY!! Not cosmetic grade. Do not apply to eyes or face. One of my favorite shops for indie supplies! Great products for polish making!